I am now a #1 best seller in Amazon Travel Guides! Want to get my newsletter? Sign up here! 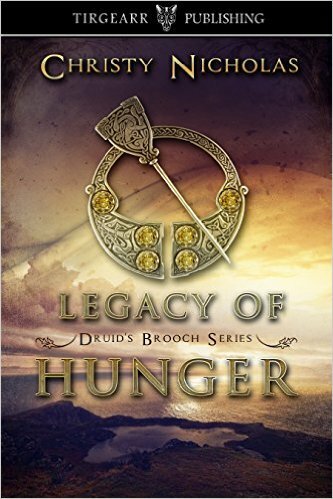 Book #5 in The Druid’s Brooch Series – on pre-order now! In 12th century Ireland, all Maelan wants is to do his duty to his Chief and maintain his family’s good name. However, his granddaughter Orlagh, is hell bent on wreaking havoc, with no care for the consequences. Would you dare rouse a goddess? Life isn’t easy in 1798 Ireland. Rebellions are rising across the countryside, and the English can be cruel overlords. However, this brutality hasn’t reached the country estate of Strokestown. Theodosia Latimer and her grandfather Reginald are on a mission to discover the past. They’re determined to excavate some ancient mounds on the Strokestown estate. But when they discover an imprisoned goddess straight out of Ireland’s rich mythological history, they’re both amazed and frightened. Tasked with integrating this primeval warrior woman into polite society, they develop both respect and fear for the powerful goddess. Will they be able to tame her lust for violence in the upcoming rebellion? Or will they fall victim to it? In pre-Celtic Ireland, Fionnuala was a fae princess, born to a life of luxury. She knew her duty and loved her family. She missed her mother, who died in childbirth when Fionnuala was but ten years old. Still, she had hopes and dreams of love and a full life. All her dreams were stolen from her, ripped away in a torrent of envy and magic. Now she must care for her three brothers while learning to live under an evil curse. Will she find a way to break the spell, or would they remain swans, tethered to three places for nine hundred years? Legacy of Luck! Released now! Legacy of Truth! Available now! Now live on Amazon, released January 24, 2016: Better To Have Loved! Julie was searching for adventure. What she found instead was herself, alone and pregnant, in a foreign country. She had some tough choices to make. Based on the true tale of my parents’ 30 year long search for true love! I have published two travel guides on planning your dream trip (on a budget) to Ireland or Scotland. Please see my Author page at Tirgearr Publishing. Thanks Christy for following my blog! Your new book looks great! I wish you much success! Love to read, but no Kindle! Making my 7th consecutive trip to Ireland late May. Love it more every trip. Skellig Michael was wonderful last year!